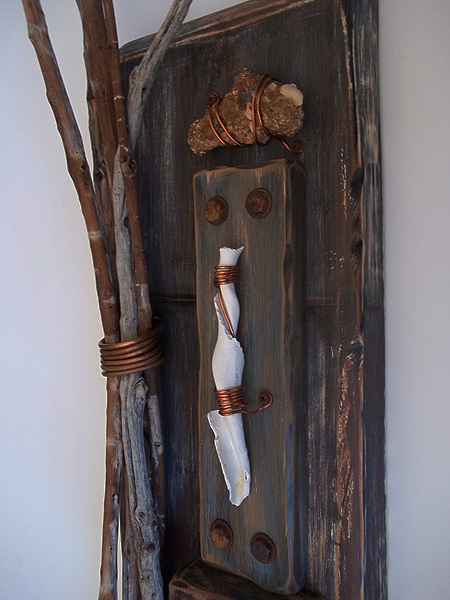 Found Object Wall Sculpture "My Time"
I finished creating a new found object wall sculpture. 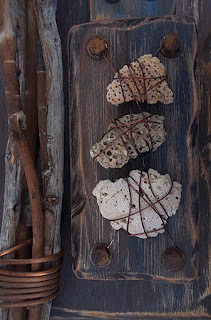 The elements of the piece where found on the shores of the Gulf of Mexico and in Home Depot. 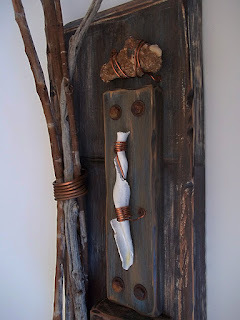 I started following your blog for the garage doors...but you have so much more! I love how organic your art work is...and your faux painting is wonderful too!